This beautiful blouse is made from bamboo silk, a renewable fibre with all the softness of traditional silk. The result is a vegan friendly garment with a wonderful, luxurious shine. The bamboo silk gives this blouse a lovely, soft drape. Understated details like the buttoned breast and neat hems let the stunning fabric speak for itself, and the wide sleeves really emphasise the smoothness of the silk. 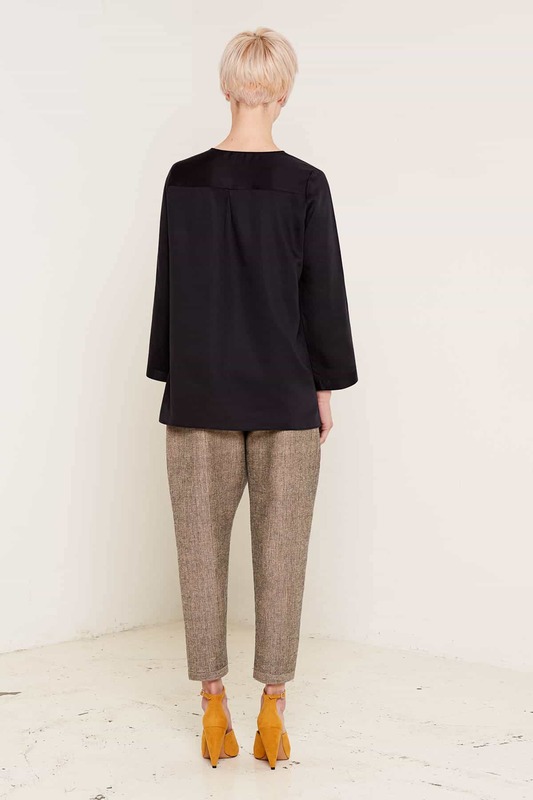 Layer the blouse with a jacket with a textured weave and asymmetric cut for a beautiful contrast. We are passionate about creating clothing that is sustainable as well as stylish. 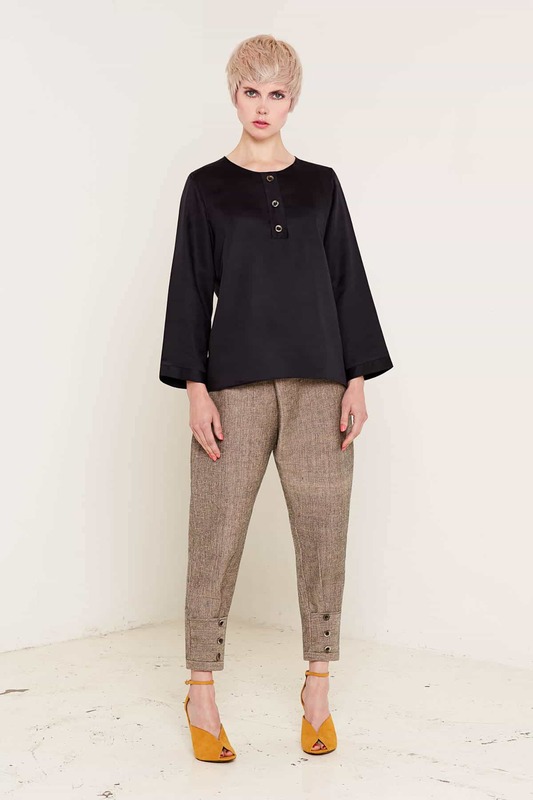 This blouse is made with certified organic materials sourced from fair trade suppliers.